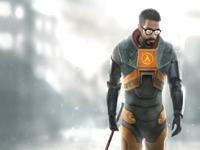 Looking forward to Half Life 2, and the hardware fantasies that go with it. Every article includes mentions of Steam required to play. So I checked it out. Simply looks like a gamespy client for Valve Software games. The client updated game (Half Life Team Fortress Classic and Counter Strike) to the latest build. Several server connection time outs made it appear bit buggy and there was no feedback during progress. And Steam appeared when hitting escape for game options, but not providing any. I hope this is not required for multiplayer, too difficult to use that it discourages it, or a subscription cost behind it. True: "The Japanese gaming community doesn’t like first-person shooting games."